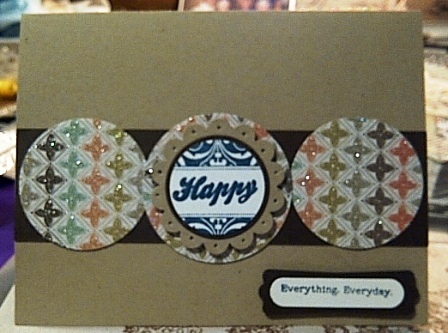 I am a bit behind using all the great stuff in my Scraptures card kits. I love so much about the March card kit! The stamp set is great, so versatile, you can never have too many sentiment stamps...and I love love love the "new leaf" paper pad!